CLUBROOT MAPS — WHAT DO THEY TELL YOU? Alberta and Manitoba have maps showing the range of clubroot across each province, but the maps are based on different criteria. Think of clubroot like a grass fire. The best way to contain the spread of clubroot is to work diligently outside the hot zone using whatever tools available to keep the “fire” from spreading to your farm. Seeding clubroot-resistant (CR) varieties is a good early action. DO YOU THINK CANOLA PERFORMANCE TRIALS SHOULD CONTINUE? Do you think Canola Performance Trials should continue? If yes, in what fashion? 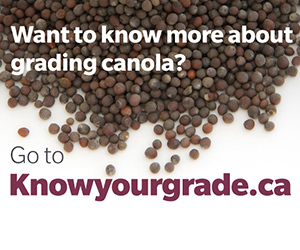 You have only a few more days to have your voice heard on the canola variety trial information you see in your provincial Seed Guide! 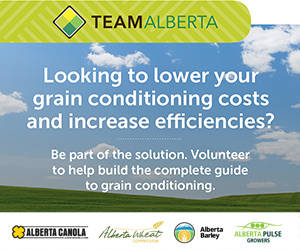 Growers who want to run an Ultimate Canola Challenge trial in 2016 can contact CCC agronomy specialist Nicole Philp at [email protected] or 306-551-4597. 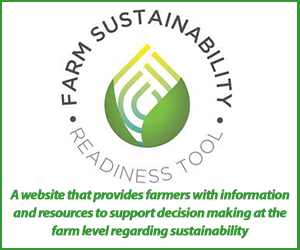 This collaboration gives growers a chance to learn first-hand how to run an effective on-farm trial. 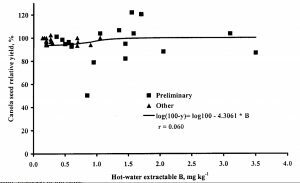 One challenge with boron is the hot water extraction (HW) soil test commonly used to test boron levels does not seem to be a reliable indicator of available boron. A 1999 study by Rigas Karamanos showed no relation between HW boron levels and canola yield, as the graph shows. Yet soil analysis continues to use the HW test for boron. canoLAB is close to sold out for most dates and locations, but you may be able to grab one last spot. 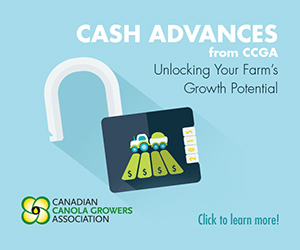 Manitoba is actually sold out but a few spots are being held for growers. 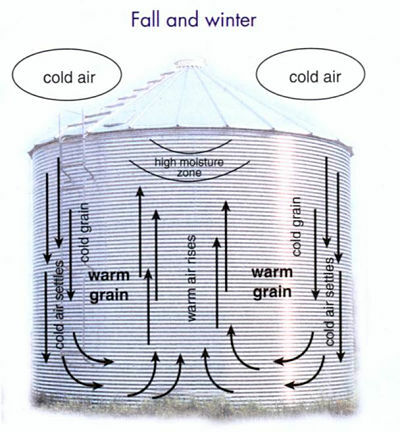 Moisture migration in a canola bin peaks when the temperature difference between inside and outside the bin is high. If canola in the bin is -20C and the outside air warms up for a week, this can increase air flow and moisture concentration inside the bin.